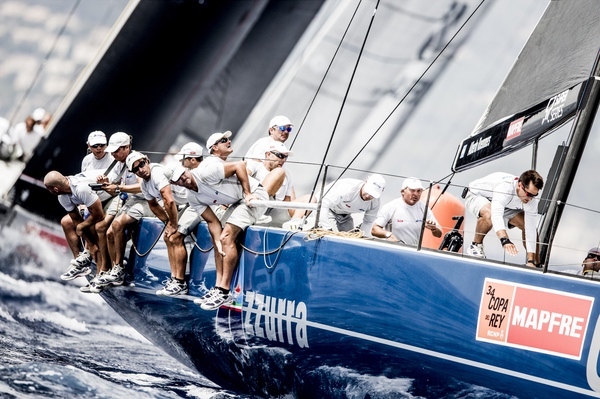 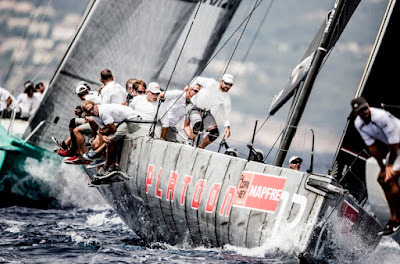 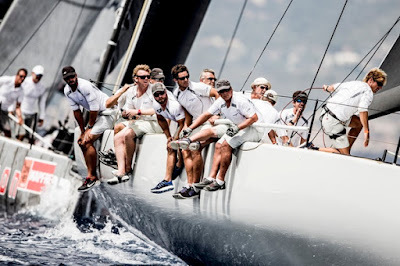 Doug, one of the founding fathers and shareholders of the 52 Super Series, took over the helm on Thursday and made a shaky ninth and fifth, incurring a penalty on the first race, but came back strong thereafter winning today’s on race showdown when all the pressure was on, to seal the regatta title three points clear of Azzurra. 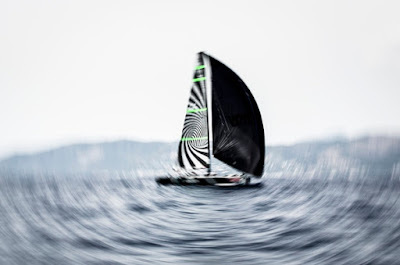 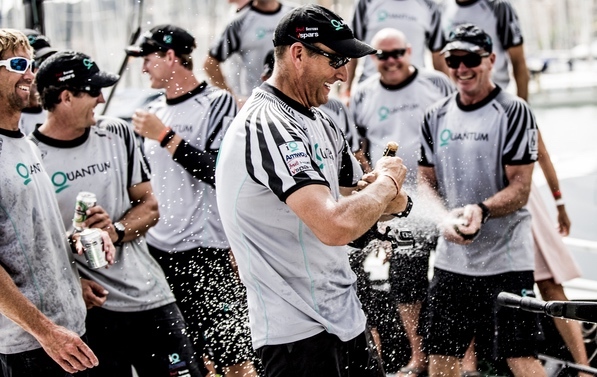 Quantum Racing’s first regatta win of the 2015 season was clinched by a 5,2,1,1 sequence. Indeed after their nine points aberration the 2014 52 Super Series champions amassed only nine points over the last four races. 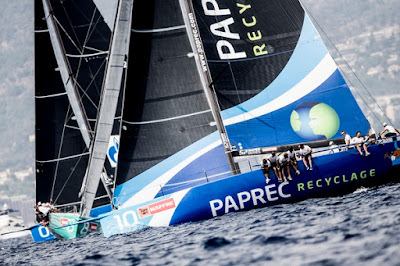 Four boats were in the frame for the Copa del Rey title, Azzurra went afloat with a one point lead ahead of Quantum Racing and Harm Müller-Spreer’s Platoon, with Vladimir Liubomirov’s Bronenosec just one more point behind. 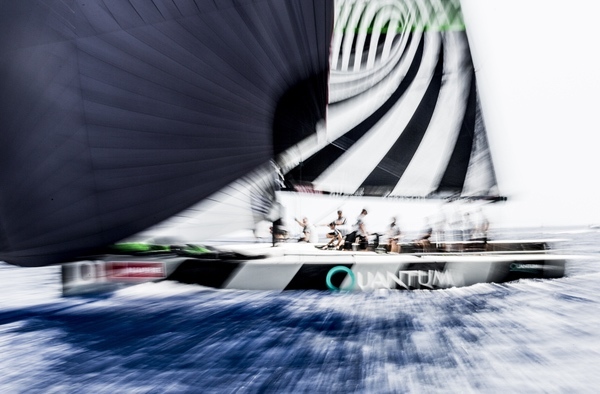 A delay preceded the sea breeze build. 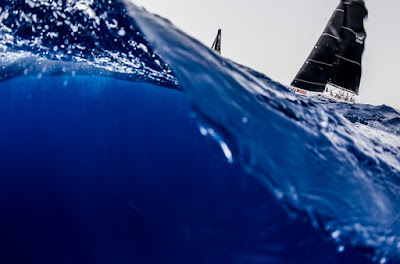 And when it came in it was shifty and fitful. A first start was annulled when a 35 degree shift skewed the start line. 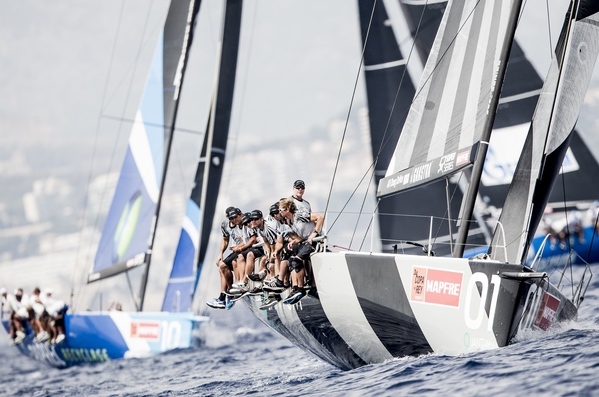 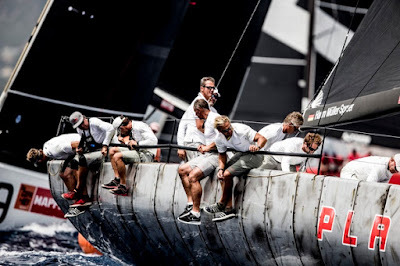 But when the showdown race did get away, the 6-9 knots breeze as far right as it has been all week, at 235 degrees, it was Quantum Racing who executed perfectly. 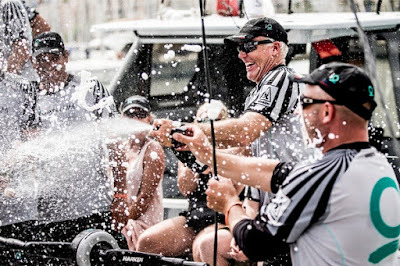 They worked the right side of the course, avoiding the initial light patch to the right of the committee boat and stayed patient to earn the winning dividend, leading all the way around the course. 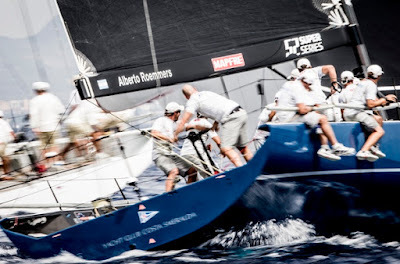 Azzurra rounded the top mark in sixth after choosing the pin end, left side option. They then dropped two places on the run and recovered to fifth. The world champions finish runners up to Quantum Racing with Platoon finishing on the third step overeall, the German flagged team’s second podium in succession. Once again one of the hallmarks of the Quantum Racing team was their ability to bounce back after a bad day. “It is also true that we started the event with a lead of 34 points on the circuit standings and we finish it with 35 so if we are crying today to finish second and have gained another point in the overall standings, I think our life would be nightmare,” Azzurra's tactician Vasco Vascotto said.